Philippines President Rodrigo Duterte has been identified as a menace to US foreign policy in Asia Pacific by both his supporters and his opponents. For his supporters, he is propped up as a hero of "anti-imperialism," while his detractors claim his leadership incites instability, is nonconstructive and is leading his Southeast Asian state to ruin. A look at the Philippines within Southeast Asia reveals a nation that has long existed within America's geopolitical and economic sphere, but also a nation more recently emerging from that sphere, pulled into the political and economic orbit of Beijing and in a wider sense, an increasingly influential and growing Asia. The Philippines eventually replacing its various, compromsing dependencies on Washington is inevitable. Whether or not President Duterte's recent rhetoric is proportional to the Philippines' actual ability to replace these dependencies in the immediate and sweeping manner he has suggested is another matter entirely. The necessity to compromise the Philippines' sovereignty and independence in exchange for economic ties with the United States clearly is no longer in Manila's best interests. Its trade with China and other Asian states far outweighs its trade with the United States. 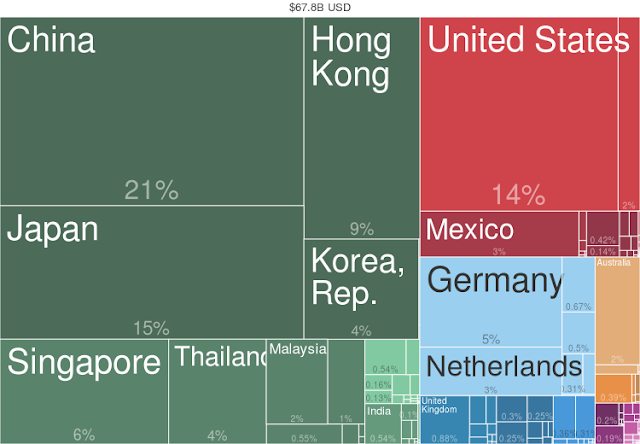 Exports from the Philippines, for example, primarily remain in Asia, nearly two-thirds in fact. Exports to the US account for only about one-sixth of the Philippines' exports. This is not insignificant, but it is clearly disproportionate to the political and economic influence the US seeks to wield both in Asia and in the Philippines specifically. 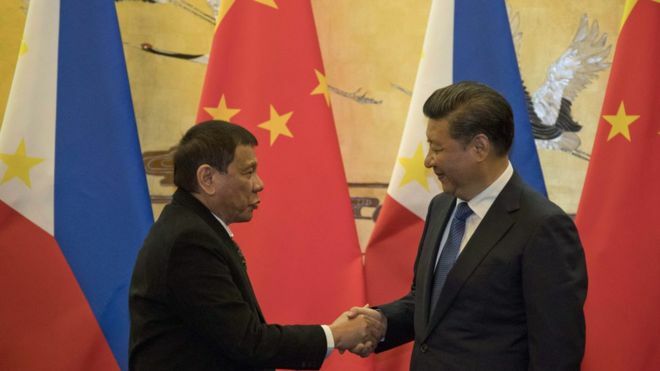 Nor is the need to continue depending on the United States to "underwrite" the Philippines' security in the region necessary, especially since such "underwriting" generally involves protecting Manila from confrontations Washington itself intentionally provokes with the Philippines' neighbours, including China. No clearer example of this can be seen than the recent Philippines-China row in the South China Sea, where the United States itself assembled a team of American and British lawyers to represent Manila in what it called an "international tribunal" which predictably ruled against Beijing in Manila's favour. President Duterte's rhetoric has been extreme, however the steps the Philippines is actually taking have been much more measured and proportional. In regards to trade, the Philippines is on a natural trajectory to continue closing in with Beijing and the rest of Asia. 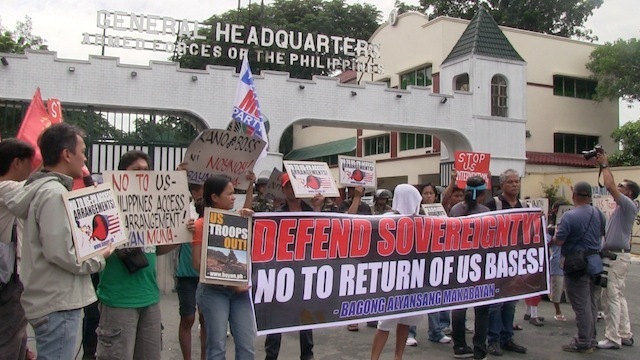 Militarily, it also benefits the Philippines to incrementally remove US troops from its territory, scale back joint exercises, particularly those intentionally carried out to provoke Manila's neighbours as well as seek new sources for cheaper and more reliable military hardware. In terms of America's showpiece conflict in the South China Sea, the Philippines has already distanced itself from Washington's strategy of confrontation, encirclement and isolation in regards to Beijing and has instead attempted to resolve the issue bilaterally with Beijing itself. The expensive and time-consuming "tribunal" the United States organised for the Philippines has all but been thrown to the wayside as a result of this. The Philippines' shifting ties in Asia Pacific are more a matter of practicality than ideology. If practical matters dictate that the Philippines maintains some ties to the United States, it will do so. This is because despite shifting closer to Asia in general, the Philippines still has many economic and political ties to Washington that will be difficult to simply "cut" in the short-term. In the long-term, practical alternatives need to be created and incrementally implemented. President Duterte's rhetoric is meant to stir up public support more than actually signal his nation's real intentions. 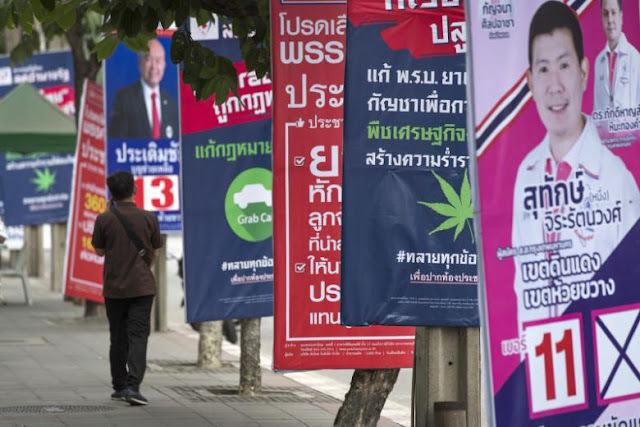 Other nations throughout Asia are also pursuing a "pivot" away from the United States and its attempts to reassert itself in Asia Pacific. However, they are doing it quietly, incrementally and are attempting to make whatever concessions they must with Washington to stave off large-scale, concerted attempts to destabilise or even overturn political order in each respective nation. The Philippines has a long journey ahead of itself in establishing a more independent and self-sustaining nation state. It faces not only countervailing forces it must navigate amid Beijing and Washington's ongoing jockeying for regional power and influence, but also internal challenges to overcome.